Home / Invisible reCAPTCHA / Invisible reCAPTCHA in ASP.NET MVC 5 / Invisible reCAPTCHA your Webpage and Android / Google - Invisible reCAPTCHA your Webpage and Mobile Apps! 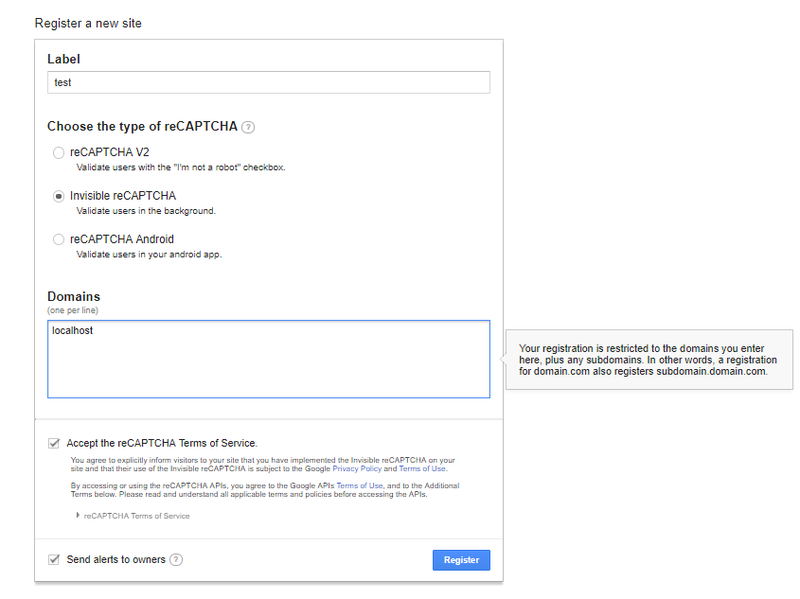 Google - Invisible reCAPTCHA your Webpage and Mobile Apps! This blog Post will helps you to understand and learn how to enable and customize the Invisible reCAPTCHA on your webpage?. 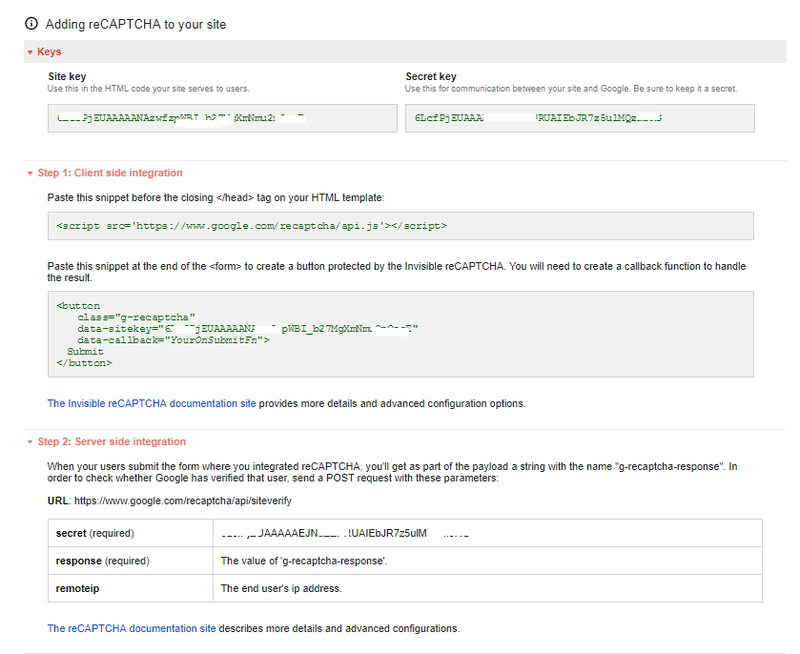 There are two ways to enable and customize the Google Invisible reCAPTCHA i.e. 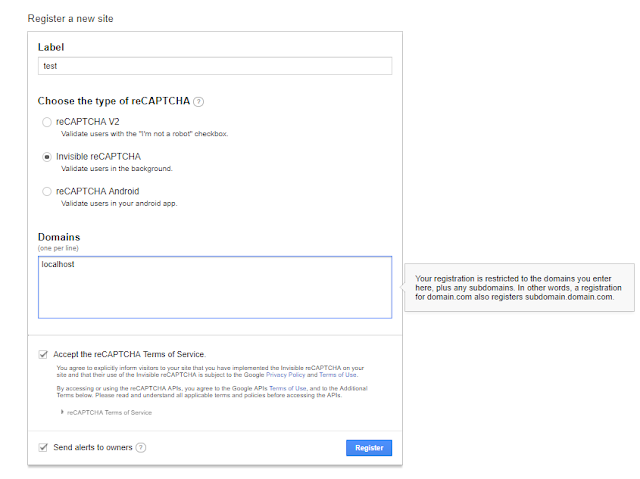 Steps 1 - Go to URL https://www.google.com/recaptcha/admin and login with your credentials. Steps 2 - Register the reCAPTCHA for your site with your site Label. Select your Invisible reCAPTCHA radio button. 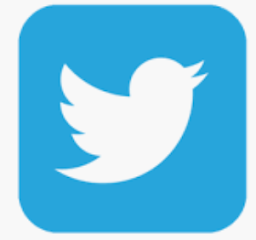 After selecting Invisible reCAPTCHA, we will need to add your Domains mane where you want to add this Invisible reCAPTCHA and click on register with terms of services. After successful register, you can see a screen like below pic. 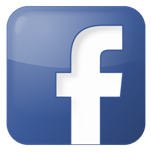 Client side integration - Script section - Paste this script before the closing </head> tag on your HTML page. HTML Sections - Paste below code at the end of the <form> to create a button protected by the Invisible reCAPTCHA. Step 2 - Register the reCAPTCHA for your site with your site Label. For example - My added domain is - localhost and site Label is - test. You can see the above steps for the same. Step 4 - Install Autofac and Autofac.MVC5 using Nuget package manager in the portal app. Step 9 - Add the below code in the config file.